Dr. George MacLean, vice-president academic on UNB’s Fredericton, is pleased to announce Dr. John Kershaw has been appointed as assistant vice-president academic (partnerships). Dr. Kershaw is currently the associate dean of graduate studies and teaches advanced mensuration and research methods on the UNB Fredericton campus. He is an advisor for the forestry senior management practicum and has his own active research lab. Dr. Kershaw is also the lead author of the 5th Edition of Forest Mensuration, widely used in North America. 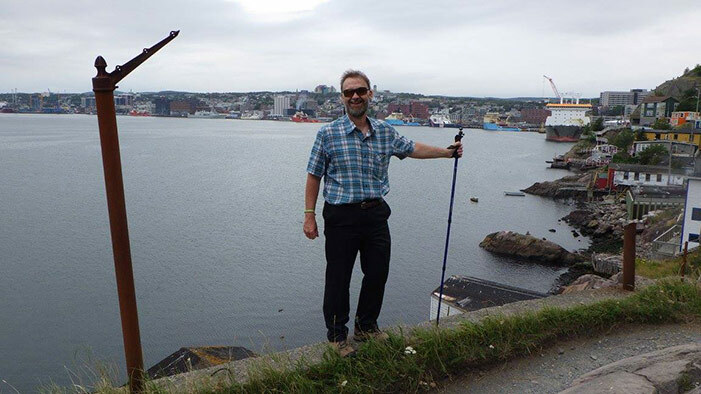 In addition to his work as a professor, Dr. Kershaw is a researcher and studies forest measurements, forest inventory, sampling and LiDAR analysis in his lab. He has conducted research projects in New Brunswick, Newfoundland, Ontario, Maine, North Carolina, Michigan, Poland, Malaysia, and Taiwan. Dr. Kershaw has a PhD in forest management from the University of Washington, as well as an MSF and a BSF from Purdue University. “John has years of experience with government and industry partners and has worked extensively overseas. We’re fortunate to have him in his new position and look forward to new opportunities he’ll bring to UNB,” says Dr. MacLean. Dr. Kershaw is looking forward to expanding his new position to engage in local and academic partnerships. He hopes to work with the Government of New Brunswick and other organizations to service their needs for higher education and create opportunities for their employees such as developing special master’s programs. “I’m looking forward to new challenges and hope to serve UNB well,” says Dr. Kershaw. As a leader, Dr. Kershaw works to ensure his colleagues feel empowered and have the flexibility to make their own decisions. “I’m there to help them when they need it, but the more people who work with me can work independently and feel confident to make their own decisions, the better I feel about my role as a leader,” says Dr. Kershaw. His three-year term will begin on July 1, 2018.